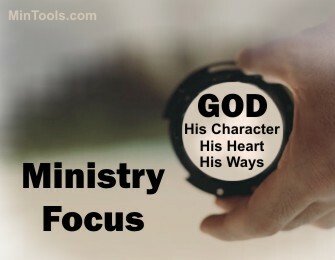 When we focus on God’s character, heart, and ways, ministry becomes about Him and not us. Reflect on the following Bible verses for a ministry focus that helps make John the Baptist’s words a reality for us when he said about our Lord, “He must increase, but I must decrease” (Jn. 3:30, KJV). 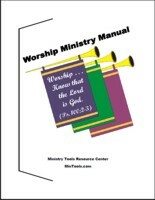 Article adapted from Worship Ministry Manual. Click to learn more. Paging through the Bible we find some differences in how God instructed His people, Israel, to worship in the Old Testament, and how He instructed the Church, in the New Testament. Though worship before Christ changed after Christ, the essence of worshiping remained the same, making those realities of worship applicable for us today. For the Israelites, worship centered around God’s presence and glory in the temple with other specific locations prior to the building of the temple (Jn. 4:21). The Israelites worshiped through scheduled and regulated feasts and literal sacrifices (Leviticus). Though great importance was put on place and method, we still find instances of individual, spontaneous, and varied means of expression. For the Church, worship centered around God’s presence at any location, where even two or three gathered (Matt. 18:20) and was to be done in spirit and in truth (Jn. 4:21-24). Worship involved the whole of life and spiritual sacrifices (Rom. 12:1). Though great importance was put on the heart, we still find instances of meeting in a place and planning for a specific or designated means of expression. While differences existed between the Old and New Testament worship, some truths about worship weave though both Testaments. Certainly these must be truths that take us to the essence of biblical worship and should affect worship through all times. God’s presence could never be contained in a building or place (2 Chron. 2:6; 6:18). Though God met with the Israelites in a set place, the place was not the source of glory. He was and still is the focus no matter where we worship. 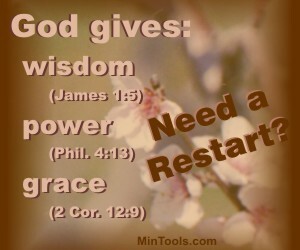 God’s character never changes (Ps. 102:25-27; Heb. 13:8; James 1:17). We worship the same God. Though the form of worship might change, He doesn’t. He is still totally worthy of all we can offer Him. God’s desire is for a heart response from His people and not mere outward conformity. Jesus quoted from an Old Testament passage when He said, “I desire mercy, not sacrifice” (Matt. 9:13; 12:7; Mic. 6:6-8; Hos. 6:6). Though it may be expressed outwardly, God looks for worship that flows from the inside out. When we hold to these eternal truths, no matter what the style or location, we can still worship. How can we help others keep growing if we’ve stopped growing? Jesus said, “The student is not above the teacher, nor a servant above his master” (Matt. 10:24). Someone who stops growing soon has little to offer those he/she leads. While some of our training as leaders will happen on a personal level, some should also be done together with our leadership team. That could include attending a leadership conference together, reading and discussing a book, watching a video presentation, along with other possibilities. It could also include a brief training segment at regular staff or board meetings. Leadership needs to be on the same page regarding the ultimate purpose and basic philosophy of ministry and how best to implement that approach in their ministries. This takes coming together to learn and grow as a ministry team. When leaders each have their own agendas and don’t come under a broad umbrella, it can be confusing for the remainder of the Body if there’s a discrepancy between what they’re learning and seeing around them. Success in convincing others of the importance for ministry training will likely increase the more they see a hunger for continued growth in their leaders. Whether attending training events, reading books, or online training, let people see and hear your excitement in learning something new or being reminded of key truths. Request prayer for your leadership team when engaging in training. Take time to share short snippets of what you’ve learned from the pulpit, in staff meetings, on social media, newsletters, or one-on-one with others. Pass on links to online articles, titles of books, etc., prefacing it with how you learned from it and thought it might be helpful to them. Bottom line: To learn from your example, people need to be aware of what you do. They won’t know if you don’t share it in some way. As in anything we do, the best way to recruit is God’s way. Even in recruiting workers, let’s seek to get in alignment with Him. Take some time to read the Scripture referenced with each point for a better understanding of how God recruits workers. The Staffing Ministry Manual briefly expounds on these points and also asks some additional questions to get you thinking more about recruiting God’s way. 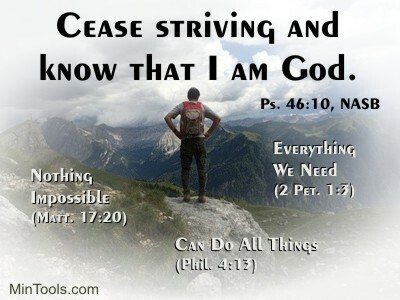 Will Staffing God’s Way Make a Difference in the Results of our Recruitment Efforts? If you haven’t been recruiting in alignment with God’s ways and make needed adjustments to your recruitment efforts, you should see a difference in the results. But, remember that not everyone will answer the call. Look at Jesus’ life on earth. Some people were even antagonistic but that didn’t stop Him. He continued to do the work the Father had given Him to do. 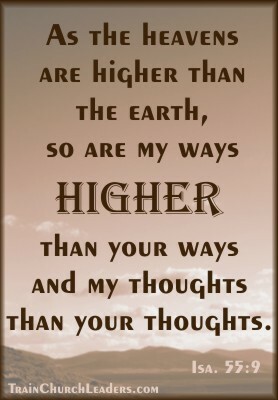 We need to likewise be faithful in following God’s ways and leave the results to Him. When we recruit God’s way, we can then use whatever the results might be as a guide for where God wants us to go from there. And, always, let’s heed Jesus’ exhortation to His disciples as He looked over the sea of human need. He said, “The harvest is plentiful but the workers are few. Ask the Lord of the harvest, therefore, to send out workers into his harvest field” (Matt. 9:35-38).